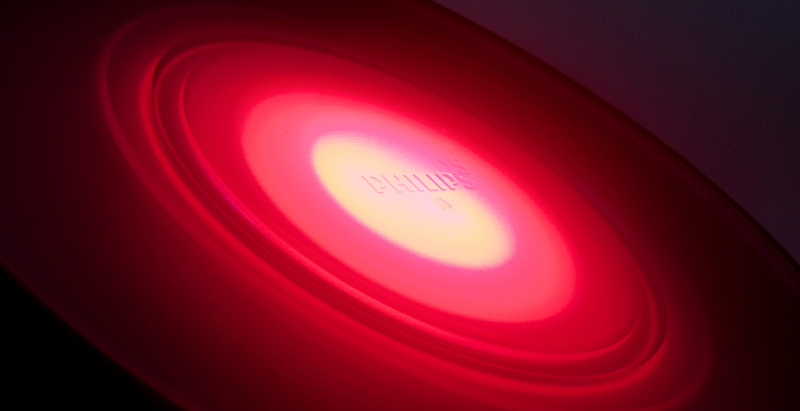 livingcolors are a range of mood lamps from philips. 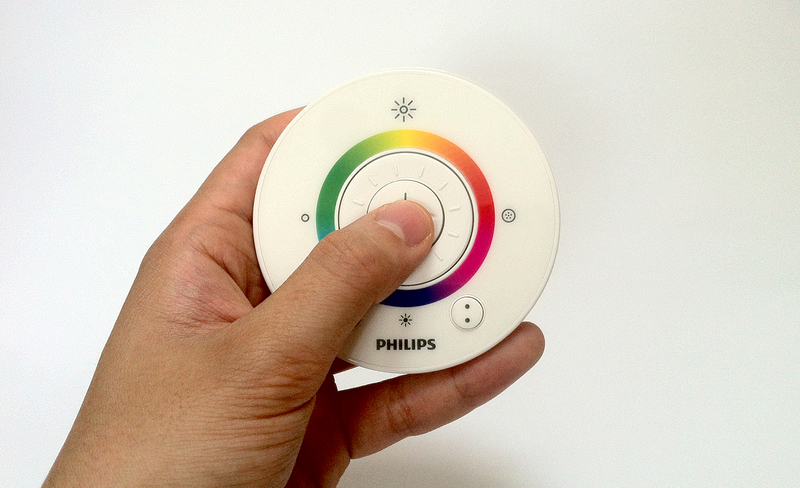 place one in a room and at the touch of a button you are instantly bathed in coloured light. you can choose a colour to reflect a certain mood for the room or set it to automatically cycle between hues. 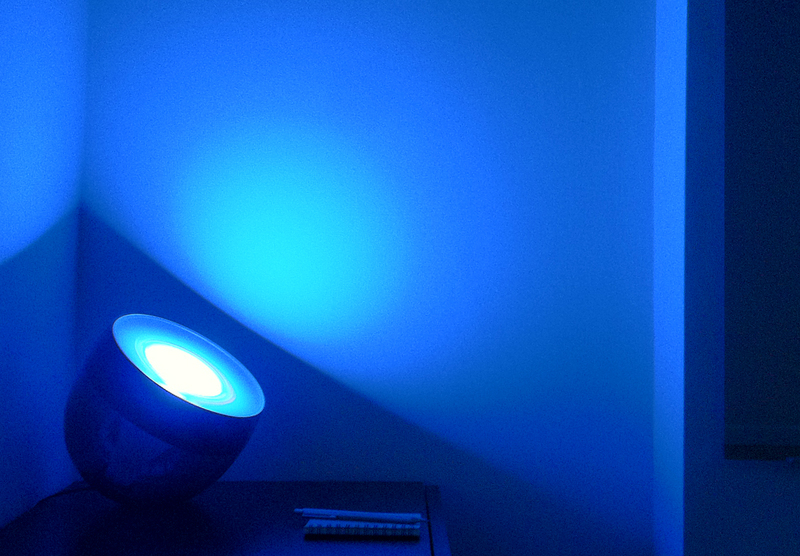 the iris is the strongest and brightest lamp in the range and ive been living under it’s glow for several months. heres my experience of using this remarkable light. the livingcolors iris is a glorious globule of design. it resembles a droplet of light that will magically bring the room to life. theres not a single screw, circuitboard or clip in sight to ruin the illusion. its a fantastic design. 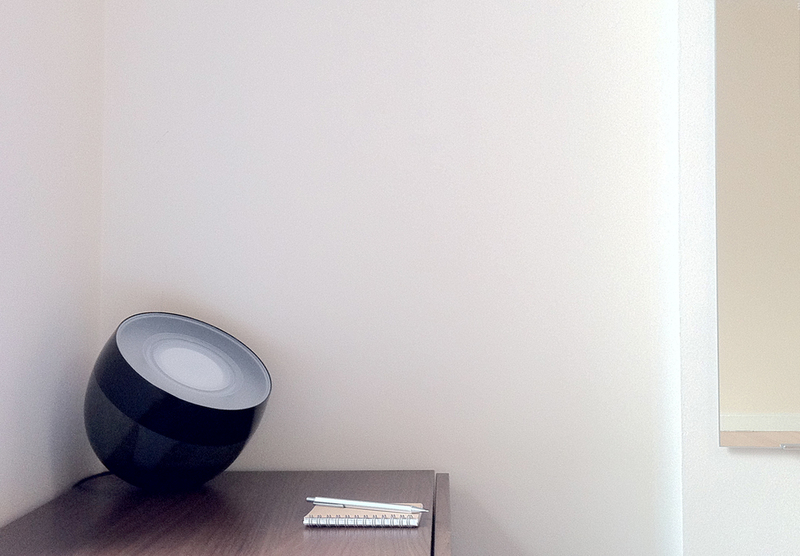 if i have any gripes its that the lamp is tethered by a horrible moulded power cable. it feels cheap and ruins the vibe of the product, i really dont know why the designers left it in. everything is controlled from a circular remote. it handles similar to an ipod click wheel but with some additional tactile feedback. 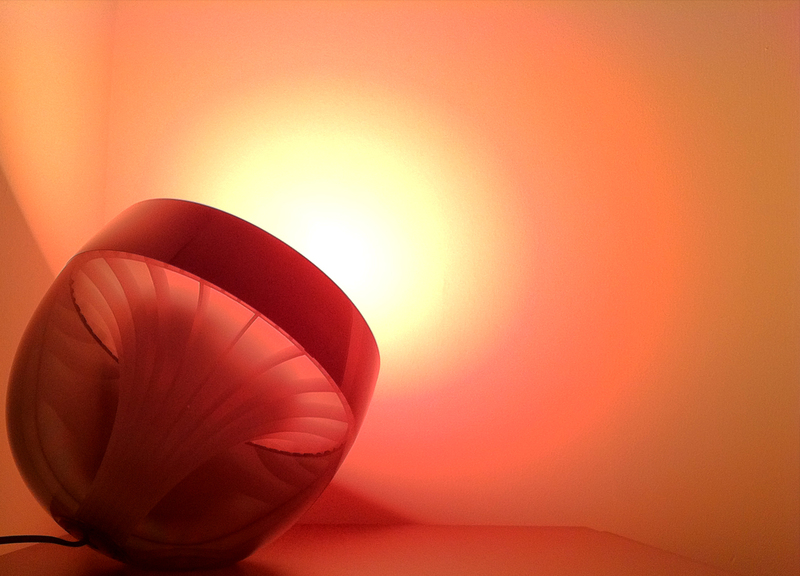 you can turn the lamp on/off, cycle between colours and change the saturation. these actions may seem simple but the colour transitions are so fluid and incredibly responsive. two extra buttons are used to bookmark your favourite colours. i havent had a favourite colour since i was 4 so i use these buttons to switch between full colour mode and a low brightness night light. as with all lighting, positioning and set up is key. 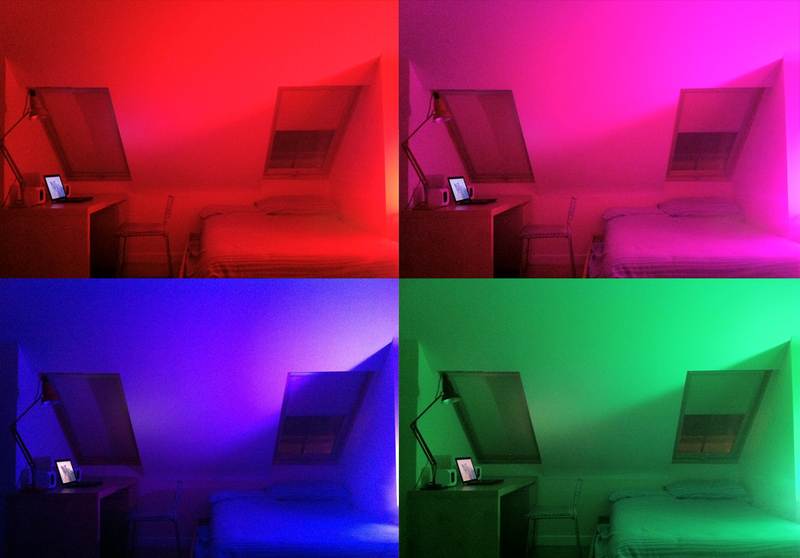 the livingcolors work best in rooms with plain light walls and my small flat is perfect to bounce around the 210 lumen output. i turn the iris on after dinner and it sets up the evening with remarkable results. a few clicks on the remote and the room glows any colour you like. everything takes on a softer quality as all the harsh details fade out and youre left with a nice painted environment to work and relax. the lighting is certainly bold but its also diffused over a wide area so it doesnt feel like youve stumbled into a nightclub. overall its an impressive effect and its certainly very cool to look at but does it have a use? it might work differently for others but the light alters my mindset in the evening when i find it hard to wind down. being surrounded by colour makes me feel more involved in doing work, listening to music or just getting ready for bed. it has become part of the evening routine and its seen me off to sleep since i got it. as a bonus its an absolute dream to be able to turn it off remotely from bed! the iris is a product that you won’t really “get” until youve experienced it in the right environment. a 5 minute play around in john lewis will give you an impression of what it does but it wont demonstrate how it will make you feel. livingcolors connects you with your living space but its totally up to you how you go about it. its abstract from the visual design right down to how you use it. the box doesnt even come with proper instructions. colours work in mysterious ways and how you respond to them can be totally unpredictable. some times you’ll find a deep red setting will soothe a stressful day. a week later a red just won’t work out for you. matching a mood to a colour is not entirely straightforward and the joy of using this lamp comes from experimenting and reflecting on your choices. 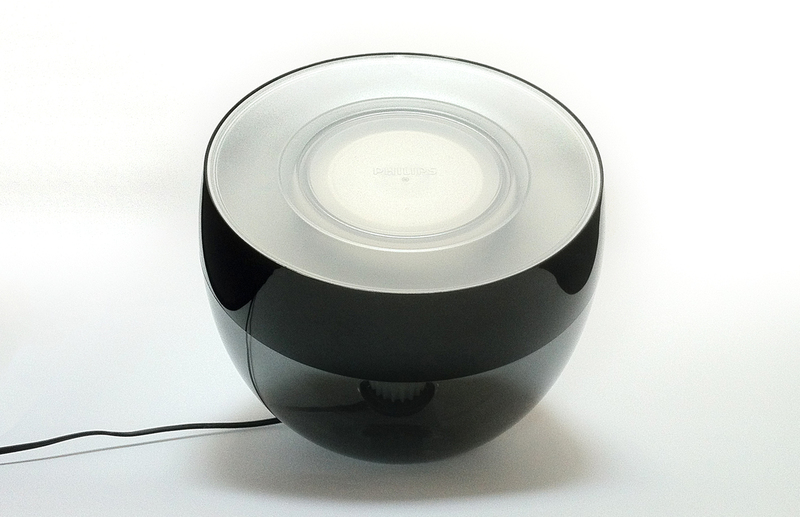 its a neat, well-built little lamp that is ideal for a bedroom or living area. its slightly costly but its overall effects are certainly worth experiencing.